Holley, NY (December 8, 2018) – One person was injured in a car crash when their vehicle smashed into the side of the Silver Creek Restaurant building this past week. A vehicle was leaving a local shopping center when it struck a white sedan that was traveling down West Union Street. The impact was so forceful that it forced the driver of the white vehicle to strike the restaurant. The driver of the white vehicle was immediately transported to the local hospital with back and head pain, according to police. Nobody inside the restaurant at the time was injured. The driver of the vehicle that caused the collision claimed that her brakes went out at the time of the crash. Officers at the scene tested them but found them to be in working condition. Charges have not yet been released and the accident continues to be investigated at this time. Every year, hundreds of thousands of people will receive injuries in serious motor vehicle accidents. In fact, in just 2011 alone, 177,445 people were injured in these accidents that are most often preventable when the drivers of motor vehicles are not acting in a negligent manner. Every day, about 48 people will be injured in these serious accidents, some of which cause serious injuries and others that are minor in nature. An experienced car accident attorney can stand by your side in the midst of your case and help you move forward during this difficult time. It is important to remember that, under New York personal injury law, you have many rights as a victim of someone else’s neglect. At Hach & Rose, our compassionate accident attorneys are fully devoted to helping you receive compensation after you have been injured due to the inattention of a reckless driver. 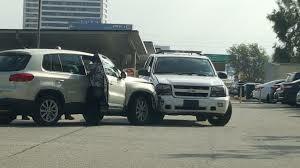 If you have been hurt in one of these accidents, please do not hesitate to call us at 212-779-0057. We want to put our proficiency to work for you.